My obsession with pink does not ever stop, lately I started blinging up my brushes and really really really wants some pink brushes to deco! 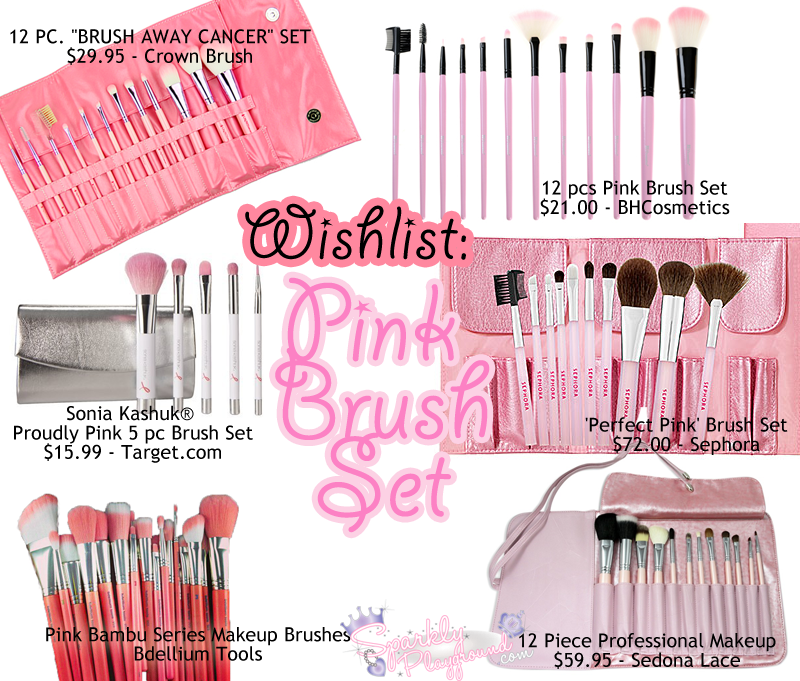 Here are some of the pink brushes I've been eyeing on. I don't know whether if the quality is good or bad. I personally only tried some from Crown Brushes and Bdellium only. Have you tried these brushes? How do you like them? ?